Stock photo of Mask, Native First Nations art, original West Coast native art, Just Art Gallery, Port McNeill, Northern Vancouver Island, Vancouver Island, British Columbia, Canada. 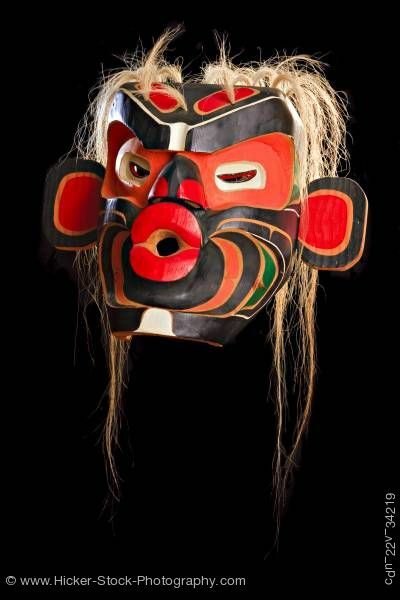 This stock photo shows a Mask, Native First Nations art, original West Coast native art, Just Art Gallery, Port McNeill, Northern Vancouver Island, Vancouver Island, British Columbia, Canada. For Aboriginal peoples in Canada, art is an excellent way to promote cultural identity and instill pride in Aboriginal heritage. Indian and Inuit Art, which is sought after worldwide, is also a significant economic activity. During the Vancouver 2010 Olympic and Paralympic Winter Games, an Aboriginal Pavilion (modeled after the Coast Salish longhouse and the Interior Salish pit house) will showcase Aboriginal culture to visitors.